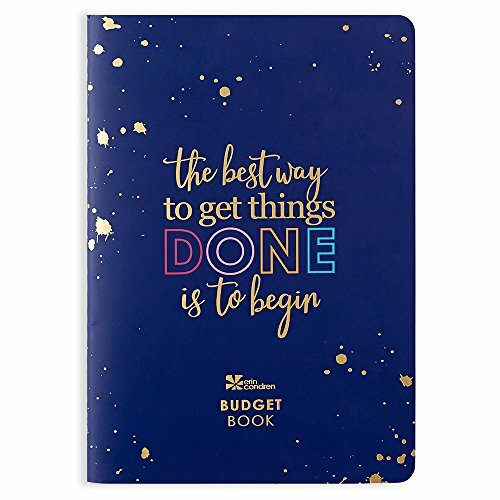 This stylish Budget Book includes 12 months of financial planning so you can start saving for your most successful year yet. Stay on task with dedicated pages for goal tracking as well as weekly and monthly spending. Store loose stickers and papers in the built-in folder for easy organization while on the go. Each book includes 1 title page, 1 saving tracker spread, 72 pages of spending summaries that accommodates up to 12 months, 4 pages of debt tracking, 1 quote page and 1 sticker sheet. If you have any questions about this product by Erin Condren, contact us by completing and submitting the form below. If you are looking for a specif part number, please include it with your message.